This evening as grill was warming up I grabbed my Canon SX10is and headed to capture something I saw yesterday. 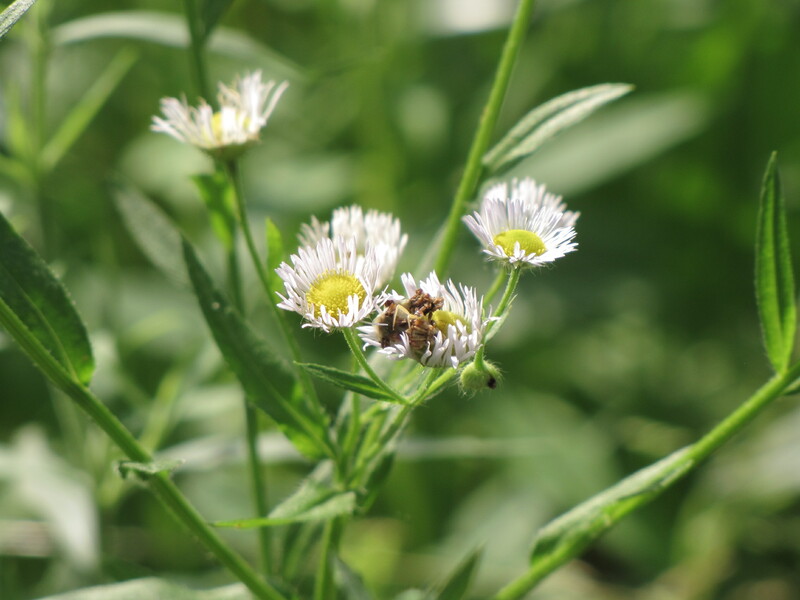 Late yesterday evening I spotted something on one of the Fleabane blooms that are on our place. Since I am now a “man of a certain age” my eyes aren’t what they used to be ,I hoped a macro shot would help me confirm it was some type of spider. Well I can say it confirmed that it was something but I still am unable to positively identify it. I still believe it to be spider and am somewhat sure it is of the Orb Weaver family but……. for now it is a little mystery spider.